Here’s good news to end the year. Many of us know young people who’ve recently graduated from Minnesota high schools. They, and the schools serving them, are doing better in some important ways. Two recent reports show progress in three related areas. First, Minnesota high school graduation rates are going up. Second, graduation gaps between students of different races are closing. Third, the percentage of public high school graduates who are taking “developmental” — also called “remedial” — courses on entering Minnesota’s colleges and universities is going down. Let’s start with the high school graduation rates. Statistics from the federal National Center for Education Statistics show that Minnesota’s four-year high school graduation rates have increased from 2011 to 2016 overall and for every student group. Moreover, the graduation gap between students of different races is closing. Here are the changes in Minnesota’s four-year graduation rates between those two years: African-American, from 49 percent to 65 percent; American Indian, 42 percent to 53 percent; Asian-American, 72 percent to 84 percent; Hispanic, 51 percent to 65 percent; white, 84 percent to 87 percent. Detailed information about four-year “adjusted cohort high school graduation rates” is available for 2015-16 at http://bit.ly/2nvjvWe and for 2010-11 at http://bit.ly/2CHSHoo. These figures also show that Minnesota ranks slightly below national high school graduation averages, which were 84 percent nationally in 2016 and 82 percent in Minnesota. But it’s not enough to graduate from high school. Some critics have suggested that graduation rates are up in part because high schools are pushing students through, even if they have weak skills. That’s why the second report, from the Minnesota Office of Higher Education, is helpful and encouraging. This shows a steady decline in the percentage of Minnesota high school graduates who are taking remedial courses at Minnesota Colleges and Universities. This figure declined statewide from 28 percent for 2010 graduates to 23 percent for 2014 graduates. Preliminary figures for 2015 graduates show another decline, to 21 percent. Taking remedial courses costs students and families millions of dollars. According to the Minnesota Office of Higher Education, the 2013 cost was almost $12 million. And students who take remedial courses are less likely to graduate from a college or university. 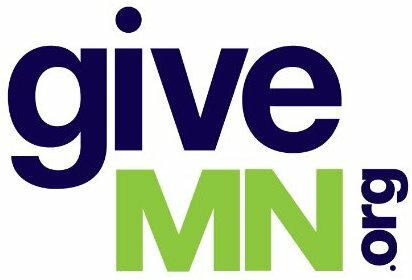 Information about the percentage and trends of graduates taking remedial courses at each Minnesota public high school is available here: http://bit.ly/2B5jASO. —Anoka High School: 17 percent. —Braham Area Secondary School: 27 percent. —Cambridge-Isanti: High School: 23 percent. —Elk River Senior High School: 21 percent. —Forest Lake Senior High School: 18 percent. —Milaca High School: 17 percent. —Princeton Senior High School: 34 percent. —North Branch High School: 24 percent. —Rush City High School: 14 percent. Students and schools are much more complex than just a few numbers. But graduation and remedial course rates give us important information. Yes, there’s still work to do. But let’s end the year with thanks to the students, families and educators who have helped produce real, measurable progress.